Ministries for Asia-Pacific (MAP) conduct evangelistic missions and training at the request of and in cooperation with local churches and Christian organizations in the Asia-Pacific region. Their Rural Evangelist Adoption Programme is a two-year support and training programme for rural evangelists, empowering them to reach the unreached in rural parts of Asia-Pacific. The two-year training programme has four modules which include: Bible Studies, Leadership in Evangelism, Leading People to Christ, Follow-Up of Converts, Basic Discipleship, Christian Family and Christian Values. A small library of Christian books is given to each evangelist in the course of the training. MAP is keen to empower as many evangelists as possible before the doors are closed in a number of countries where they work and are aiming to support and train at least 1,000 rural evangelists to take the gospel to Asia-Pacific and beyond by 2020. They have teams of people living in various countries and make a number of trips each year to support and encourage them. The work continues to grow, although they notice increasing opposition developing. Ooi Chin Aik, after having obtained Master degrees in Christian Studies and Theological Studies from Regent College Canada, returned to Malaysia in 1991. While there, among other activities, he was involved in evangelistic missions under the leadership of Rev Dr Michael Green. He was invited to serve the National Evangelical Christian Fellowship of Malaysia as Field and Research Secretary. Later, he was appointed acting General Secretary. Ministries for Asia-Pacific (MAP) began on 1st December 1997 with the founding vision: To catalyse the church in Asia-Pacific to meet the challenges of extending God's kingdom in the Third Millennium. BHW's Field Director met Ooi Chin Aik at a conference in New Zealand early in 2014. After hearing more about the ministry of MAP, in mid-2014 BHW commenced partnership with them. The direct beneficiaries are the rural evangelists who are trained. In addition to the training, they will also receive a small monthly stipend to supplement their local income. This will free them up to be able to give time to their ministry. Indirectly the people they gather together will be beneficiaries as well, both spiritually, economically and educationally. Ooi Chin Aik is the Founder and President of Ministries for Asia-Pacific (MAP), a fellowship of over 360 evangelists working in the Asia-Pacific region and beyond. After graduating with a BSc. from the University of Malaya, he worked as a Process Engineer for several years before leaving for theological studies at Regent College, Canada, where he earned the Master of Christian Studies and the Master of Theological Studies. He was awarded the John Maxwell Baxter Prize in Preaching. Chin Aik exercises an international ministry in evangelistic and expository preaching in churches, universities and Christian conferences, in Asia, Europe and America. He provides leadership for Rural Evangelists Adoption Programme (REAP) in China, India, Bhutan, Nepal, Thailand, Myanmar, Cambodia, the Philippines, Indonesia and Malaysia, and leads mission teams into these Asia-Pacific countries for gospel advance and training. Chin Aik was Scholar-in-Residence at Gordon-Conwell Theological Seminary, in the United States, and Visiting Scholar at Regent College, Vancouver, Canada. He did post-graduate studies in Islam with the International Institute for the Study of Islam and Christianity, London, United Kingdom, and Advanced Chinese Language Studies at Tsinghua University, Beijing, China. He is the author of a number of books, is married to Lydia and serves in his local church as Associate Pastor in Evangelism and Missions. Their strategy is to send local people who have been equipped into rural villages and towns where the Good News has not yet reached. They are already doing this but the task is huge, the potential locations are almost innumerable. Through REAP they aim to support and train at least 1,000 rural evangelists to take the gospel to Asia-Pacific and beyond by 2020. The budget for each evangelist is US$880/year. BHW is currently financially supporting 20 evangelists, 10 in Malaysia, 5 in China and 5 in Indonesia. I am thankful to God for He has planned my salvation even when I was still in my mother's womb. I am the only Christian in my family. After much prayer and intercession, my parents and siblings have come to know the Lord after 12 years. I was very active in school during my Form 5 in ISCF. I thirst for God's Word. Every day I study and reflect on God's Word. My burden is that more of my tribe will turn to God. 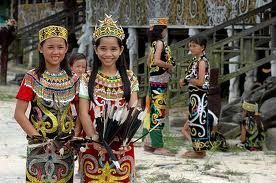 At present a small percentage of the Selakau people are Christians. After finishing Form 5, I went to work in Bintulu. My church sponsored me to study in STP Baduk Aru in Bakelalan after they found out my burden for the lost and my involvement in church work. I have been involved in various ministries from 1996 till now such as: evangelism, Sunday School, woman's fellowship, kindergarten and preschool. I have ministered to the Selakau, Penan, Iban and others tribes in Ulu Baram, Kuching and Miri. 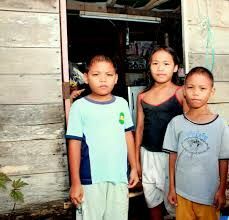 Pray for receptiveness of the Iban people living in Entulang longhouses. Thank God for His mercy and patience. Before accepting Jesus, I was involved in drugs and alcohol. I thank God for saving me from all these bad and unhealthy habits. The preaching by the pastor and God's Word touched me when I attended a Sunday service. God gave me a burden for people that have yet to hear the good news. I commit myself to serve Him and to bring as many lost souls into His kingdom as possible. Pray for open doors to reach the lost in Ulu Tinjar. These are typical of those who are currently doing the work.